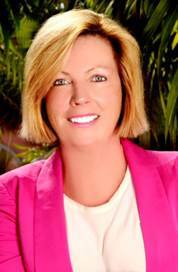 Norwegian Cruise Line has announced that Camille Olivere is joining the brand as senior vice president, sales effective November 30, 2016. Formerly senior vice president of Partner Brands at World Travel Holdings, Olivere returns to Norwegian to cultivate and further enhance travel partner engagement across sales channels under the Norwegian’s Partners First philosophy and lead the continued development of sales in North America. Olivere originally joined the Norwegian sales team in 2009 as vice president of sales. In 2012, she was promoted to senior vice president, achieving significant growth in the company’s charter business and leading efforts to re-energize the brand’s travel agency advocacy, with a focus on growing trade relationships through optimized marketing and co-op budgets to maximize sales. Olivere will be based at Norwegian Cruise Line’s headquarters in Miami reporting to Andy Stuart, president and CEO, and will head the North American sales leadership team that includes Alex Pinelo, vice president, key accounts and Nathan Hickman, vice president, field sales.